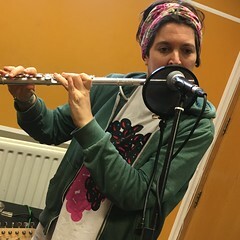 On Saturday 8th December 2018 Resonance FM’s Hello GoodBye Show featured live music with Joss Cope and Jenny Moore’s Mystic Business, plus poetry with Gerry Mitchell. Galaxians – How Do You Feel? This entry was posted in dexter bentley, hello goodbye show, Hello GoodBye: Playlists, resonance fm and tagged dexter bentley, gerry mitchell, hello goodbye, hello goodbye show, jenny moore, jenny moore’s mystic business, joss cope, london, radio, resonance, resonance fm. Bookmark the permalink.